We’ve just released a new version of Property Hive which contains a huge new feature regarding how media is stored. 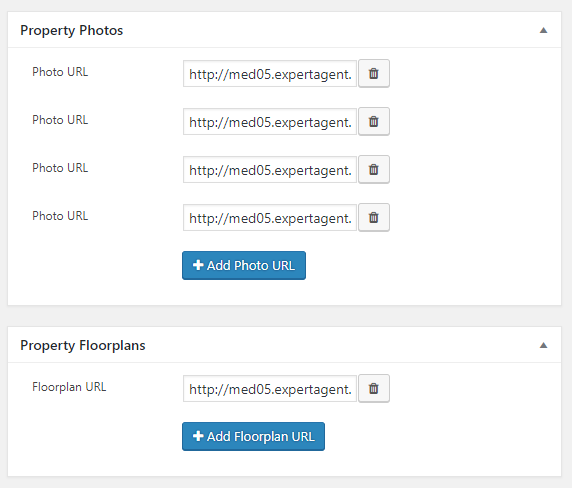 Version 1.4.32 of Property Hive now comes with the ability for you to choose how property media (images, floorplans, brochures and EPCs) is stored; whether they should be physical files uploaded to the WordPress media library, or should they be URLs linking to a third party site. This change is particularly of relevance to estate agents that use our Property Import add on to import properties to WordPress. 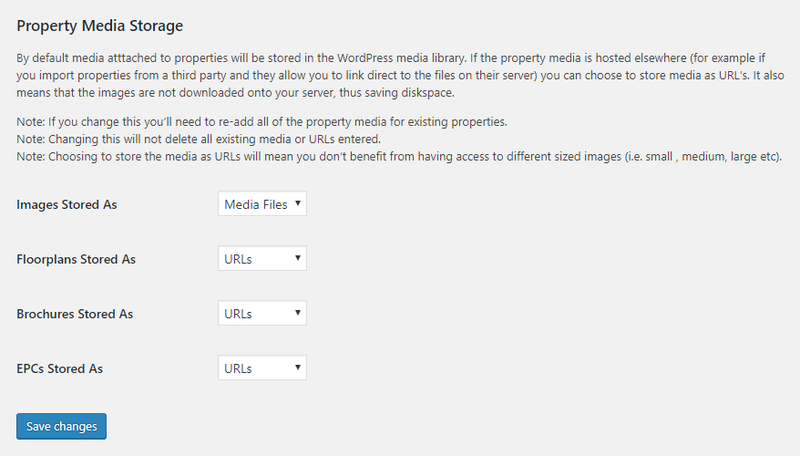 Instead of having to download the images you can now choose to store them as URLs and link direct to the third party (assuming they allow it). This means faster imports and reduced risk of them timing out, as well as no disk space being taken up to store the property media. These new settings can be access by navigating to ‘Property Hive > Settings > General > Miscellaneous’. From the above image you’ll also notice that you have complete control over which types of media are stored in which way. For example, you could have images downloaded as physical media, but brochures as URLs. If URLs is chosen as the storage method, when editing the property record you’ll see these are individual text fields which you customise and even drag to reorder them. If you’d like to take advantage of this new feature you’ll need at least version 1.1.12 of our Property Import add on. We hope with this new functionality we remove some of the common issues that crop up regarding property imports, as well as improve the end user’s experience due to potential speed improvements.